To make a relationship work is not enough, love also requires patience and understanding. A husband has learned this precious lesson after he has had first-hand experience, paying for his continued complaints to his partner about her poor skill in cooking. 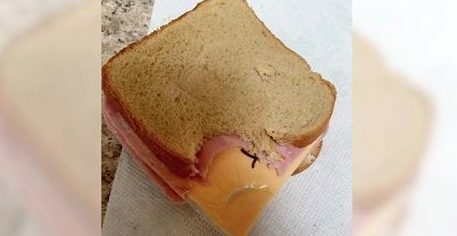 The woman, accused of "being able to only prepare sandwiches," eventually took revenge by hiding a "special surprise" inside the sandwich she prepared for his lunch at work; when he tried to eat it, he realized that the cheese had been left in his plastic casing! Chinese almond chicken recipe: an easy and tasty way to cook chicken!